Armed Robbery at a Bank results in a quick arrest of two subjects. Today at 10:38am Dispatch received a call from TD Bank located at 1641 Beacon Street. The caller indicated they had been robbed by a subject who had passed a note. The note indicated they had a gun, though no weapon was shown. Units responded to the bank, other units started to play the area. Due to the storm there was limited traffic on the roads. Information from the bank lead an officer to find the car in question as it ran a red light in Brookline Village. The vehicle was stopped at Willow Pond Road and Jamaica way. The vehicle was being driven by a female; the male subject who had entered the bank was lying down in the back seat. He had already changed his clothes from the robbery. The clothes and all the money were recovered in the vehicle. Both Subjects were taken into custody and booked at the Brookline Police station. A twenty five year old male and a fifty four year old female both from Quincy, will be arraigned in Brookline District Court on Monday. Both face Armed Robbery charges. The Boston FBI Violent Crimes Task Force responded and took part in the follow up investigation. Detectives continue to work w/ other local agencies to determine if Evidence seized as a result of the arrest may be connected to similar burglaries at other local phone stores. 9:45am: In the morning of December 13, officers responded to a store on Boylston St. for a report of a customer disturbing others. Upon arrival, officers interviewed an employee who stated that a woman had come into the store to return some items and that she had told the customer that due to the price of the items she needed a manager present to process the request. At this time, the employee told police that the customer became agitated and began to yell and verbally insult her before she started taking items off the shelves and throwing them at her. Officers reviewed surveillance footage and were able to confirm the employee’s story. The customer in question was still in the store and was placed under arrest. 10:26am: While on patrol, an officer was attending the front desk was approached by a Brookline resident who wanted to report a past larceny. The victim reported two packages had been delivered to a residence on 12/11/2016 according to the delivery service, however on her arrival home she discovered the packages were missing. 6:30pm: While on patrol, an officer was dispatched to a business on Webster Pl. for a report of a past larceny. On scene, the victim reported hanging his coat on a coat hook. As he was leaving, the victim noticed his wallet, was missing from his coat. The victim was advised to cancel his debt and credit cards. On 12/12/2016 at approximately 01:37 hours, units responded to the area of Winchester Street near Thorndike for a report that a possible robbery had just occurred. The reporting party had received a text from a friend who lives on Winchester Street stating that he had been robbed and to call the police. Police units set up a perimeter around the house while other officers entered to clear the home. On the third floor three parties were located; two had been injured during an armed home invasion. During the investigation it was determined that 4 subjects burst into the home armed with weapons and demanded money. Two roommates, awoken by the commotion during the robbery, were able to flee. After the subjects fled, victims contacted different friends via social media asking them to contact police. Based on the investigation, this incident does not appear to be a random attack. 4) BM, dark complexion, 26-30 yoa 6’00" wearing dark clothes and holding a larger gun than the others also darker in color. At approximately 3:15 am on Sunday, 12-11-16, there was a break in at the T-Mobile store at 1310 Beacon St. Subjects broke the bottom half of the front door glass, made entry, and stole multiple items from the store. The alarm was activated when the door was opened; however, there was a delay in reporting to the Brookline police of over 11 minutes. Surveillance video is available from the store and detectives are actively investigating. This may be tied to a recent string of similar breaks at Verizon stores in Dedham and Newton within the last 30 days. While patrolling on Centre St. an officer observed two males smoking what he believed to be marijuana in a public place. The officer made contact with the two men to inform them that the upcoming changes in marijuana laws would still not allow them to smoke in public. While speaking to the men, the officer observed that one of them was acting nervously and kept putting his hands in his pockets after being told not to. When asked to turn out his pockets, it was found that the man was in possession of cocaine. The man was placed under arrest. On December 8, an officer was dispatched to a business on Commonwealth Ave. for a report of shoplifting. The store manager stated that when he arrived to work he noticed multiple items missing and upon review of the security footage found that a man had taken the items from the store without paying. The matter is under investigation. On December 9, a man came in to the police station and told officers that he had missed a court date and believed there might be a warrant in his name. Officers confirmed there was an active warrant and the man was placed under arrest. On December 9, an officer was dispatched to a store on Commonwealth Ave. for a report of shoplifting. An employee stated that earlier in the day a man was observed taking items and concealing them in his backpack. The matter is being investigated. Officers were dispatched to a residence on St. Paul St. for a larceny report. Two victims stated that they had had packages stolen recently. The incidents are being investigated. While conducting traffic enforcement in the area of Harvard St. and Beacon St. an officer conducted a random query of a vehicle and found that the registered owner had an active warrant in her name. The officer conducted a traffic stop, confirmed the identity of the driver, and placed her under arrest. On December 10, officers observed a vehicle make an illegal U-turn on Harvard Street. The officers conducted a traffic stop and found that the driver was operating with a suspended license. The driver was placed under arrest. While on patrol in the area of Boylston St. and Cypress St. an officer observed a vehicle without a valid inspection sticker. A query of the vehicle showed that the registered owner had three active warrants in his name. The officer conducted a traffic stop and the driver was placed under arrest. In the evening of December 10, officers responded to a business on Commonwealth Ave. for a report of shoplifting. An employee stated that three individuals had been in the store and took turns distracting him while the others took items from the store. The matter is under investigation. While patrolling on Beacon St. officers observed a vehicle fail to stop for a red light. The officers conducted a traffic stop and found that the driver had a revoked license. The driver was placed under arrest. Officers responded to a business on Commonwealth Ave. for a report of shoplifting. An employee stated that he had observed a man take merchandise and attempt to put it into his backpack and then flee the store. The matter is under investigation. An officer was dispatched to a store on Beacon St. for a report of shoplifting. The store manager stated he had noticed an item missing and when he reviewed the surveillance footage he saw that a man had entered the store and taken it without paying. The incident is under investigation. On December 6, while on patrol in the area of Washington Square, officers ran a random query of a vehicle and found that the owner’s right to operate a vehicle had been suspended, the vehicle’s registration had been revoked, and the owner of the vehicle had an active warrant in his name. The officers conducted a traffic stop and placed the driver under arrest. While patrolling in the area of Washington St. and Davis Ave., officers observed a vehicle fail to stop for a red light. The officers conducted a traffic stop and found that the driver was operating without a license, had revoked insurance, and his motor vehicle was not registered. The driver was placed under arrest. On December 6, a woman came into the police department to report a past larceny. The woman stated that a package had been confirmed as delivered to her residence on Freeman St. yet she never received it. The incident is being investigated. 4:54pm: Officers were dispatched to a bank on Harvard St. for a report of a suspicious person. On scene, the victim report depositing a check at the ATM and noticed two males attempt to enter the door without an ATM card. The individuals were let into ATM area by bank employees who were leaving. The victim reported the individuals standing uncomfortably close to him as he was making the transaction. He stated he became nervous and quickly completed the transaction and left the ATM. As the victim arrived to another store, he discovered he had left his ATM card at bank. He arrived back at the bank and noticed the two individual’s handed him his card. He checked his bank statement and two withdrawals were made after his deposit. This matter is still under investigation. 8:16pm: Officers were dispatched to an apartment on Seawall Ave. for a report of a package theft. On scene, the victim reported checking the status of her package and the delivery service stated it was delivered earlier in the day. On her arrival home, she discovered her packages were missing. Early in the morning of December 1, while conducting traffic enforcement, an officer observed a vehicle traveling in the area of Coolidge Corner without its headlights on. The officer conducted a traffic stop and found that the driver was operating with a suspended license. The driver was placed under arrest. On December 1, an officer responded to a business on Harvard St. for a report of larceny. The victim, an employee of the business, stated that sometime during the afternoon her purse was stolen. The matter is under investigation. While traveling on Washington St. an officer ran a random query of a vehicle traveling in front of him and found that the registered owner had a revoked license. The officer conducted a traffic stop, confirmed that the driver was the registered owner, and placed him under arrest. In the evening of December 1, officers responded to Egmont St. for a report of a package theft. The victim stated multiple packages of hers had been taken from the unsecured foyer of her building the day before. The incident is being investigated. On December 2, a man came into the police department to report a larceny. The man stated that he had ordered a gift basket to be delivered to a building on Longwood Ave. and that it was never received despite confirmation from the sender that it had been delivered. The incident is being investigated. In the evening of December 2, a call came into the police station stating that a vehicle was traveling on Boylston St./Route 9 with two flat tires as a result of hitting the curb. Officers were dispatched to the area, located the vehicle in question, and conducted a traffic stop. While in contact with the driver, officers noticed that her speech was slow and slurred, her eyes were glassy, an odor of alcohol was emanating from her, and she appeared confused. The driver was placed under arrest for operating under the influence of alcohol. On December 3, an officer was dispatched to Parkman St. for a report of an attempted larceny. The reporting party stated that when he went to pull out of his parking spot his rear tire fell off and he noticed that the lug nuts were piled up next to the car. The matter is under investigation. On November 16, officers responded to the area of Harvard St. and Aspinwall Ave. for a report of a man in need of medical attention. The man was found to be OK and an investigation found the man to be in possession of illegal drugs. The man was placed under arrest for possession of Class B and Class C substances. An officer was dispatched to Beacon St. for a larceny report. The victim stated that he had parked his car overnight in rear of his building and that when he went to it the next day, his car was on milk crates and the tires were gone. The matter is under investigation. On November 15, an officer was dispatched to Marion St. for a larceny report. The victim stated that when he went to his car that morning he found that all of the tires had been removed and the car was left on milk crates. The matter is under investigation. 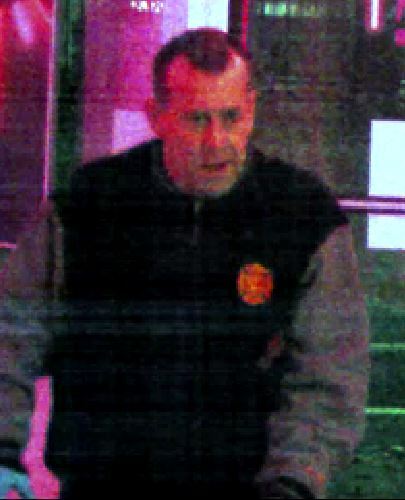 In the morning of November 15, officers responded to an alarm from a bank on Boylston Street. Employees stated there was no weapon shown and no injuries. They were able to provide officers with descriptions of two men who reportedly robbed the bank. The matter is currently being investigated. 3:59pm: While monitoring traffic on the corner of Powell and Beacon Street, an officer observed a vehicle accelerate at a high rate of speed and continue to increase in speed as it approached St. Paul Street. The officer activated his emergency blue lights and safely initiated a traffic stop. A query of the vehicles information revealed the owner of the car had an outstanding warrant for his arrest. The officer approached the vehicle and asked the motorist for his license and registration, which confirmed he was the owner. The individual was placed under arrest without incident. On November 10, an officer responded to Commonwealth Ave. for a report of larceny. The victim stated that items of his had been stolen from a locker within the building. The matter is under investigation. On November 11, an officer responded to Wolcott Rd. for a report of a credit card scam. The reporting party stated that she had received multiple phone calls from a male subject who claimed to be a family member. The male subject reportedly stated that he was being held in jail and needed money for bail. The incident was confirmed as fraud and is under investigation. Officers were dispatched to the area of Brookline Ave. and Aspinwall Ave. for a report of a bicycle theft. The victim stated that he had left his bike leaning against a tree while taking photos of the area when he turned and saw a man ride off on his bike. The matter is under investigation. On November 12 during a routine patrol, an officer ran a random query of a vehicle travelling on Cypress St. and found that the registered owner had an active warrant in his name. The officer conducted a field stop, confirmed the identity of the driver, and placed the man under arrest. On November 13, an officer was dispatched to a business on Commonwealth Ave. for a report of shoplifting. The reporting party stated he had seen a man enter the store and take items without paying. The matter is under investigation. On November13, officers were dispatched to LaGrange St. for a report of a two car accident. One of the drivers stated that her vehicle had been struck from behind by another vehicle which had left the scene. The woman was able to give police the license plate number of the other vehicle and police were able to locate the second driver. While in contact with the driver, officers noticed the smell of alcohol coming off of the woman and that she had glassy, bloodshot eyes. Based on this information, the woman was placed under arrest for Operating Under the Influence of Liquor and leaving the Scene of an Accident. 6:50pm: While on patrol, an officer was dispatched to Gerry Rd. for a report of larceny. The victim’s reported she and her son had left a saxophone unintended in an office on Independence Drive, on Friday, 11/4/2016. When they arrived to retrieve the saxophone, they discovered the saxophone missing. 8:18am: While on patrol, an officer was dispatched to a residence on Gardner Rd. for a report of stolen tires from a motor vehicle. The victim reported parking the vehicle in her assigned parking space on 11/3/2016. On her arrival back to vehicle on 11/7/2016, she discovered the tires missing from her vehicle. The victim was advised to contact her insurance company. On November 2, an officer was dispatched to Marion St. for a report of larceny. The victim stated that she had been expecting a package that was reported as delivered to the foyer of her building yet she never received it. The matter is under investigation. In the evening of November 2, an officer ran a random query of a vehicle traveling on Babcock St. and found that the status of the vehicle was revoked and the registered owner’s license was suspended. The officer initiated a traffic stop, confirmed the identity of the driver, and placed him under arrest. On November 3, an officer observed a vehicle driving on St. Paul St. with no front plate or inspection sticker. The officer conducted a traffic stop and the driver was placed under arrest for operating with a revoked license, operating an uninspected motor vehicle, and failure to display a front license plate. While assigned to Coolidge Corner, an officer observed a vehicle rear end another car. While speaking to the driver of the vehicle who had hid the other car, it was found that the driver’s license had been revoked. The driver was placed under arrest. In the evening of November 3, Brookline Dispatch gave out a call of man with a gun at a business on Beacon Street. An employee stated that the man had written on a card that he wanted her to empty the register drawer and that he had a gun. The woman was able to give a description of the suspect and told them that the man had fled towards Brookline Village. While searching for the suspect, officers located a man fitting the description inside of a building on Washington Street. The officers placed the suspect under arrest for Armed Robbery by means of a Firearm and Breaking and Entering. On November4, an officer was dispatched to Freeman St. for a report of larceny. The victim stated that a package had been stolen from the unsecured front foyer of her building. The matter is under investigation. A man came into the police station to report a past larceny. The victim stated that multiple items had been taken from his work on Newton Street. The incident is being investigated. On November 5, an officer was dispatched to a business on Commonwealth Ave. for a report of a shoplifting. An employee stated that he had observed a male enter the store and exhibit suspicious behavior. After the unidentified man left, the employee reviewed security footage and found that the man had taken items from the store without paying. The matter is under investigation. On November 6, an officer was dispatched to a business on Commonwealth Ave. for a shoplifting report. The store manager reported that the he had witnessed a man place several items into a backpack at which point he contacted the police. While waiting for the police to arrive, the manager confronted the man who discarded the backpack and left the store. The matter is under investigation. 2:20pm: While assigned the front desk, an officer was approached by a Brookline resident to report her bike stolen. The victim stated, on Friday, 10/28/2016 at approximately 8:00am she had locked her bike to pole on Greenough St. She returned at approximately 2:00pm and found her bicycle missing. The description of the bicycle was given to the officer. On October 28, an officer was dispatched to Heath St. for a report of malicious damage to an automobile. The victim stated that sometime during the night his passenger side mirror was broken. The matter is under investigation. A woman came into the police department to report malicious damage to a motor vehicle. The victim reported that a substance that appeared to be feces had been smeared on the driver’s side and hood of her car. The matter is being investigated. Early in the morning of October 29, an officer observed a vehicle speed through a red light on Boylston Street. The officer initiated a traffic stop and found that the driver had a suspended license. The driver was placed under arrest. On October 30, a report of larceny came in from a business on Harvard Street. Based on the description from the caller, officers stopped the suspect in the area. A detective responded to the store and reviewed the surveillance footage with the reporting party. From the footage it was found that the suspect had taken items from the store without paying as reported. The surveillance footage also showed the same man taking items from the store at two different times on October 22. Based on this information, the man was placed under arrest for two counts of Larceny over $250 and one count of Larceny under $250. In the evening of October 30, an officer responded to Gardner Rd. for a report of breaking and entering and larceny of a motor vehicle. The victim stated his car had been parked in an open garage since Thursday and when he returned to his car on Sunday he found that items were missing from the center console, backseat, and trunk of the car. The matter is under investigation. On October 18, an officer responded to Egmont St. for a report of a past breaking and entering and larceny. The victim stated she had left for work that morning and when she got back items were missing from her apartment. The matter is under investigation. 3:00pm: While on patrol, an officer was dispatched to a residence on Pond Ave, for a report of a past larceny. On scene, a security guard for the building reported a resident approached him stating two bicycles were taken from his parking space. Surveillance video shows another resident of the apartment building taking both the bikes on two separate occasions. Both parties involved were not home the time the incident was reported. This matter is still under investigation. 11:47am: While on patrol, an officer was dispatched to a residence on Seawall Ave, for a report of a package theft. On scene, the victim reported receiving a confirmation email from the delivery service stating his package was delivered. On his arrival home from work, the victim discovered the package was missing. The victim was advised to contact the delivery service to report the package stolen. 12:35pm: While on patrol, an officer was dispatched to a residence on Feneno Terrace for a report of a bike larceny. The victim reported sometime on September 28th, her bicycle locked to a pole outside her apartment was missing. A search of the surrounding area yielded negative results. 10:47am: While on patrol, an officer responded to an apartment on Kendall St. for a report of a stolen motorized scooter. On scene, the victim reported on October 15th, he had parked his Vespa scooter at the intersection of Babcock and Manchester Rd. The victim stated he had locked the front wheel of the scooter, but it was not secured to a fixed object. A search of the surrounding area yielded negative results. Yesterday afternoon we had two reported indecent exposure cases. These cases happened in the area of 12 Greenough Street at approximately 4:20-4:30PM. In both cases the victims were minors. Victims described the subject as a male, in his twenties. One victim described him as possibly Hispanic. The subject had dark, curly hair, described as medium length. The subject has a scruffy beard, described as “day old” growth. 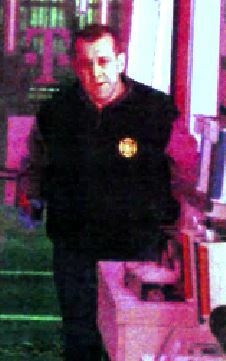 The male subject was wearing a red or orange, long-sleeved shirt. The subject had no pants or shoes as he stepped from the car in one case. In the other case he was seen sitting in the car. In both cases he did not say anything to the victims. The vehicle has been described as a sliver or white four door sedan. This is under investigation and anyone who may have seen anything is asked to call the police at 617-730-2222. On September 28, an officer was dispatched to Clearwater Rd. for a report of a past larceny. The victims stated that items had gone missing from their home the morning before The matter is under investigation. In the afternoon of September 28, officers responded to a store on Harvard St. for a report of a shoplifter who had just left. A witness stated that they had seen a woman pick up multiple items, place them in her bag, and leave the store without paying. Officers located a woman matching the description of the suspect and found that she had the stolen items on her with no receipt. The woman was placed under arrest for shoplifting. While on patrol, an officer ran a random query of a vehicle driving on Harvard St. and found that the license plates were assigned to a different car. The car pulled into a loading zone on Babcock St. and parked. The officer initiated contact with the two women who had been in the car and found that the passenger was fidgety and irritated and supplied an incorrect name to the officer. After getting the correct identification of the woman, the officer found that she had 9 active arrest warrants. The woman was placed under arrest and a citation was issued to the vehicle owner for Attached Plates, being Uninsured, and being Unregistered. While patrolling on Commonwealth Ave. an officer conducted a random query of a vehicle and found that the registered owner had a suspended license. The officer conducted a traffic stop and confirmed that the driver was the owner of the car. The driver was placed under arrest. In the evening of September 28, an officer was dispatched to White Pl. for a report of larceny. The victim stated that her bike had gone missing from where it was left unsecured by the front steps of her residence on September 22. The matter is under investigation. On September 27, a woman came into the police station to report a larceny. The woman stated that she had locked her bike to a pole on Cypress St. that afternoon while inside a local business. The woman said that when she came back outside approximately an hour later her bike was gone. The matter is under investigation. 11:07am: While on patrol an officer was dispatched to Pearl St. for a report of a stolen motor vehicle. On scene, the victim reported parking his car in the back of his residence at approximately 2:00pm on September 25th. The next morning, the victim discovered his vehicle missing. The officer contacted the property management company to confirm the victim’s vehicle was not towed. 6:43pm: While on patrol, an officer was dispatched to a residence on Juniper St. for a report of a breaking and entering of a motor vehicle. On scene, the victim reported her vehicle must of have broken into sometime between September 25th at 2:30pm and September 26th 6:00am. The victim went to her car and noticed the interior lights were on and the driver side door was not completely closed. The victim reported missing a small amount of loose change in her center console. On September 22, an officer observed a vehicle fail to stop at a stop sign at Freeman Street and Babcock Street. The officer conducted a traffic stop and found that the driver was operating with a suspended license. The driver was placed under arrest. An officer was dispatched to a location on Harvard St. for a report of larceny. The victim stated that sometime between mid-August and September 22, multiple laptops had been taken from the building. The matter is under investigation. On September 23, an officer was dispatched to a business on Boylston St. for a report of larceny. An employee stated that money had been stolen from her pocketbook sometime the day before. The matter is under investigation. In the evening of September 23, an officer was dispatched to Boylston St. for a report of Breaking and Entering of a Motor Vehicle. The victim stated that between 11pm on September 22 and 6am on September 23, two of his vehicles were broken into and items were taken from inside. On September 24, officers were dispatched to Kilsyth Rd. for a report of past malicious damages to a motor vehicle. The victims stated that they had parked their vehicles the morning of September 23 and the next morning found damage to the hood, driver’s side mirror, and driver’s door of the vehicles. Earlier that morning officers received a call of people damaging cars in that area. Officers located two men who fit the description. One man fled on foot and the other, after being questioned, was placed under arrest. A woman came into the police department to report a larceny. The woman stated that she had come home to her apartment on Park St. and found that the door was unlocked and several items were missing. The matter is under investigation. Over the weekend there were multiple reports of packages being stolen from residences in Brookline. Locations of thefts included Park Street, St. Paul Street, and Euston Street. Residents are advised to lock foyer/lobby doors when possible, have packages that are being delivered require a signature, and/or have packages sent to another location if worried about theft. While walking through a medical building in town, an officer noticed a man in the hallway in need of medical attention. After speaking to the man, the man attempted to flee the area. The officer stopped the man and found that he had two outstanding warrants. The man was placed under arrest. On September 21, an officer was dispatched to Longwood Avenue for a larceny report. The victim stated that sometime between the morning of Friday the 16th and Saturday the 17th her bike was taken from the hallway inside her residential building. The matter is under investigation. An officer responded to Ivy St. for a larceny report. The victim stated that three packages had been stolen from the outside of her home over the course of the last week. The incidents are being investigated. On September 20, an officer responded to a building on Heath St. for a report of a larceny. The victim stated that sometime between the morning of the 19th and the morning of the 20th some of the contents of her wallet were removed. The matter is under investigation. In the morning of September 20, an officer was dispatched to a business on Boylston St. for a report of a past larceny. The owner of the business stated that since May and as recently as September 18, multiple items have been stolen from his store. The incidents are being investigated. While traveling on Harvard St. an officer observed a vehicle with an expired registration sticker. The officer conducted a traffic stop and found that the driver was operating with a suspended license. The driver was placed under arrest. 8:30am: While on patrol, an officer was dispatched to a residence on Harvard St. for a report of a theft of a bicycle report. On scene, the victim reported placing her bicycle in the back of her garage, unlocked and with the garage doors open. The next morning, the victim discovered her bicycle missing. The victim provided a description and serial number of the bicycle. 4:15pm: An officer on patrol and was dispatched to a report of a stolen bicycle. On scene, the victim reported leaving her children’s bikes unlocked against her house. No surveillance cameras were found in the immediate area. On September 15, an officer was dispatched to a residence on Strathmore Rd. for a report of burglary. The victims stated that they had left their residence that morning and returned in the evening to find that both the front and back doors were open and several items were missing from the apartment. The matter is under investigation. September 15, a man came into the police station to report an instance of larceny. The man stated that a package had been stolen from the foyer of his apartment building on Beacon Street. FedEx confirmed that the package had been delivered yet the man never received it. In the evening of September 15, an officer responded to Harvard Street for a larceny report. The caller reported seeing two men cut the lock off a bike which had been attached to a meter on the street and take the bike. The matter is under investigation. On September 16, an officer responded to a residence on Fairbanks St. for a larceny report. The victim stated that over the last two weeks she had placed multiple online orders which were confirmed as being delivered to the residence yet she never received them. An officer was dispatched to Lancaster Terrace for a larceny report. The victim stated that two bikes had been stolen from outside her residence between the night of September 15th and the morning of September 16th. On September 17th, an officer was dispatched to Beacon Street for a past larceny report. The victim stated that she had received confirmation of a package being delivered to the vestibule of her building earlier that day yet when she arrived home the package was not there. The matter is under investigation. On September 18, an officer ran a random query of a vehicle traveling on Harvard Street and found that the driver had a suspended license. The officer initiated a traffic stop and the driver was placed under arrest.